For late 19th and 20th century maps see the next page. We have been collecting maps for many years. The earliest are not very accurate, yet show how the mapmaker understood the area at the time. 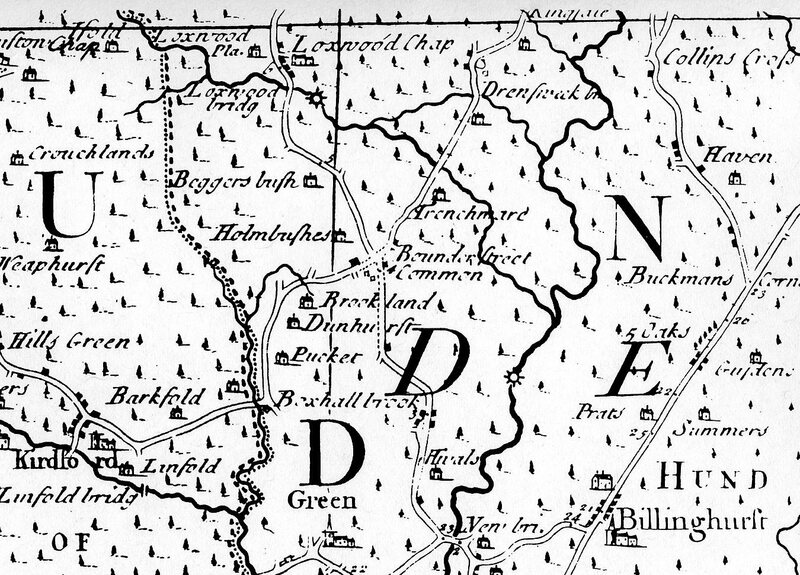 The first accurate maps date from Col Mudge’s surveys which led to the publication of the 1st Edition Ordnance Survey during the Napoleonic Wars. Updated later to include for example railway lines, these maps are not easy to date. Used until the 1870s, the plates became very worn. Since the 1870s, maps have become clearer, at a greater variety of scales. RPS understands that copyright on OS maps is for 50 years. All maps in this gallery were issued well before before1964. 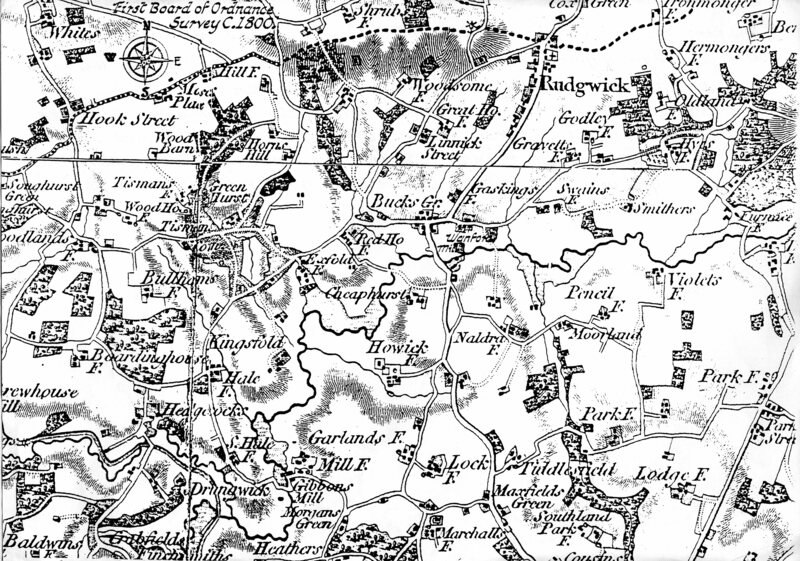 1675, the earliest map we have found to show Rudgwick clearly is Ogilby’s London to Arundel strip route. Still in use in the C18th, this is the Senex Edition of 1719. 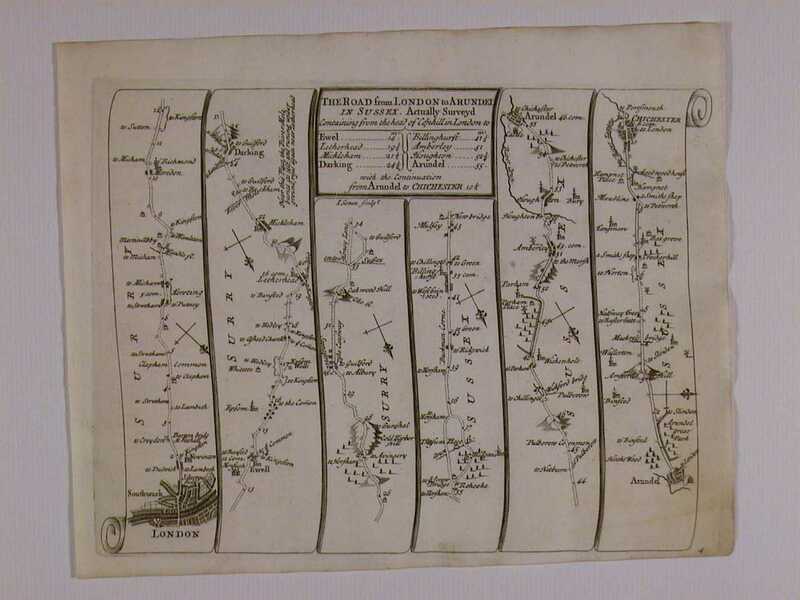 1740, Overton & Bowles Map is nearly identical to Bowen’s, but the printing is less clean. 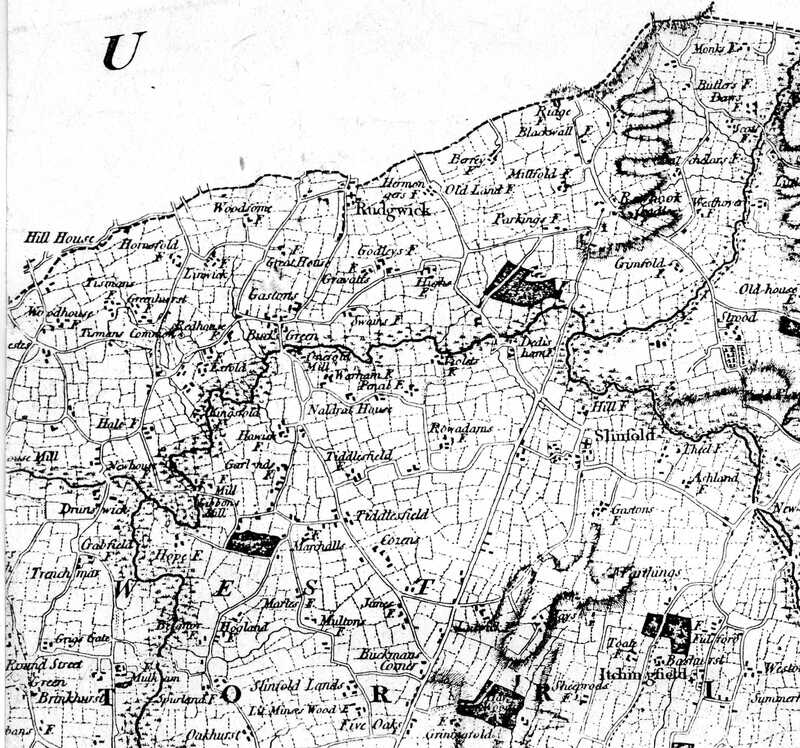 many C18th maps mistake Tismans Common for Christmas Common – must be the dialect! 1777, our favourite map, by Andrews and Drury. A rare map, fascinating for its inaccuracies as well as its detail. Uses hachuring for slopes to good effect. 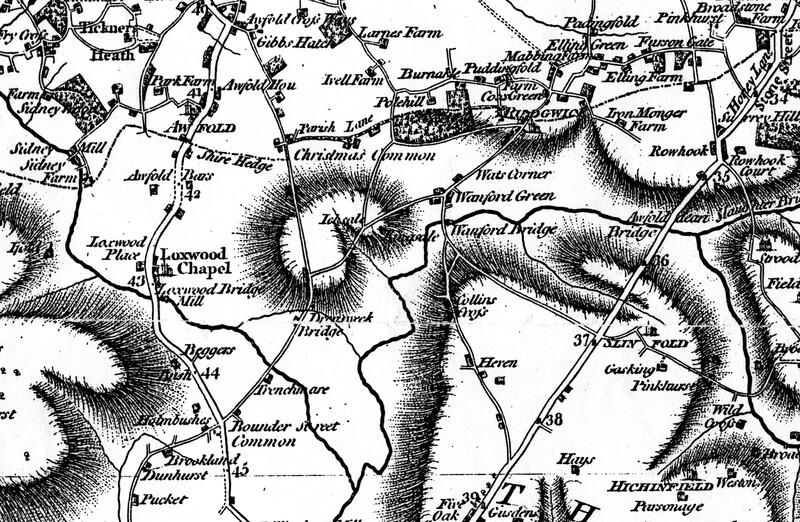 1795, Yeakell & Gardner’s map is an attempt to show fields but not accurately. Limited hachuring. Spelling is improving. Roads are more accurately shown. 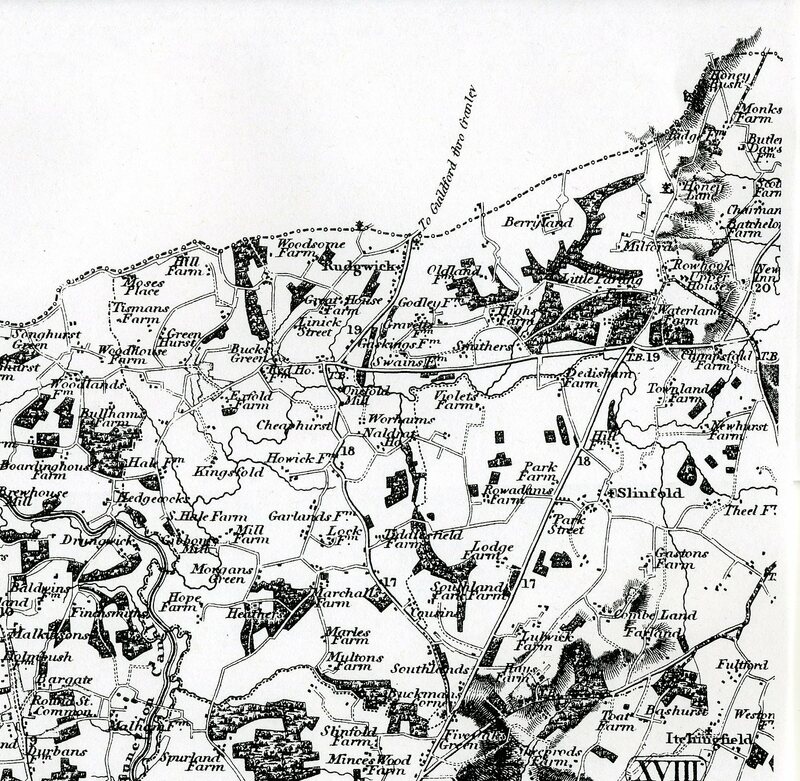 Rudgwick North, extract from Sheet 79, Dorking and Kingston, 1st Ed OS map, on a very worn plate, and never updated to show railways! 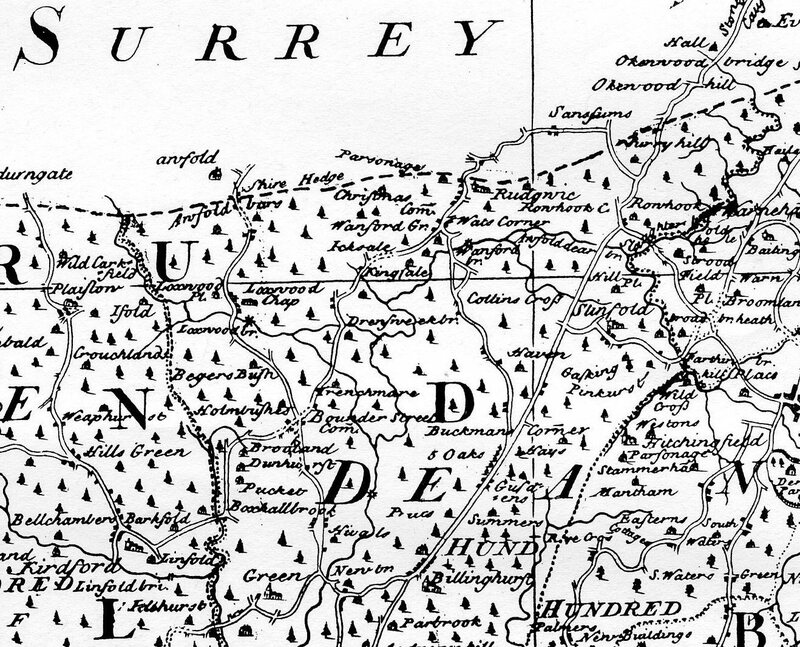 But it does show the Surrey section of the turnpike to Alfold Crossways. 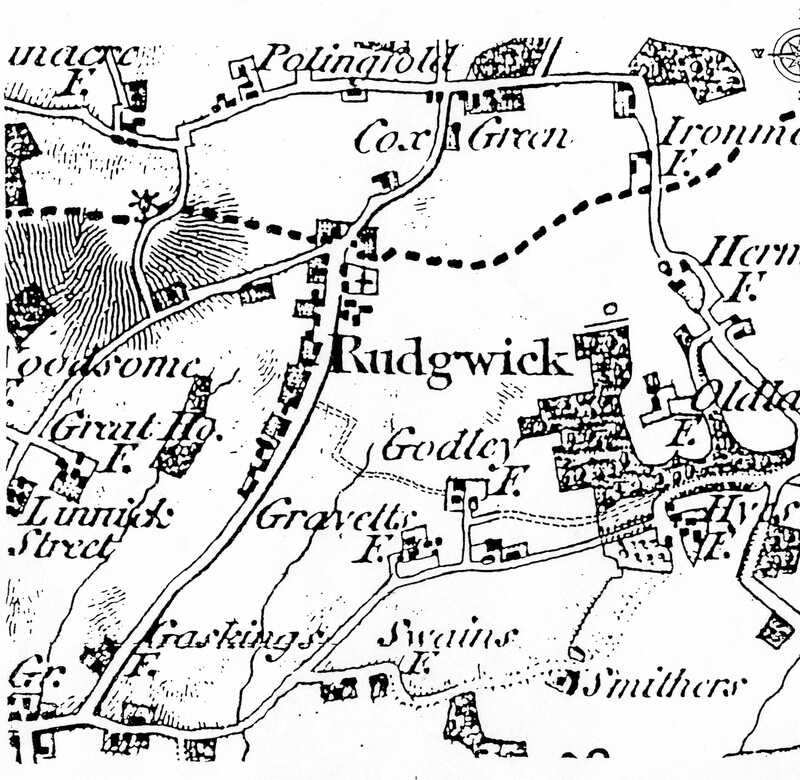 Rudgwick South, extract from Sheet 87, Brighton, 1st Ed OS map, a better plate updated with railways, including Rudgwick. 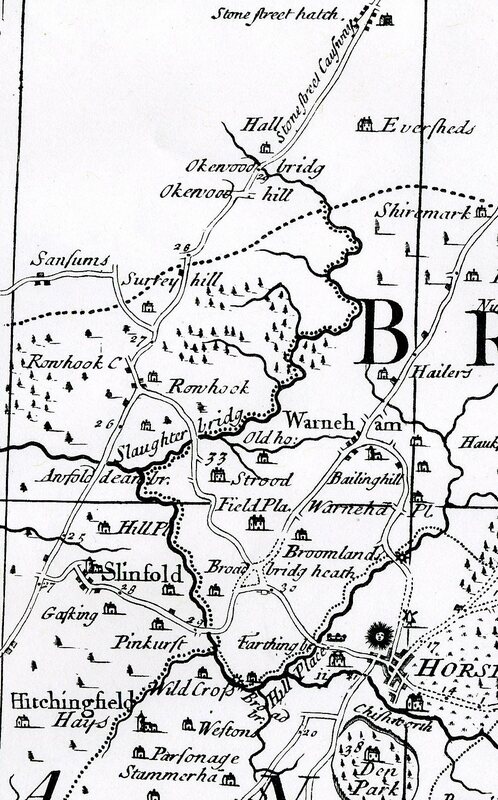 Bizarrely, has not been updated to show the turnpike to Horsham in Rudgwick!